SOLD! 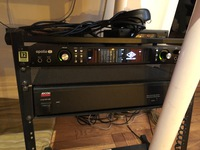 UAD Apollo 8 Thunderbolt Duo Blackface: $1,150. This Mint Apollo 8 works perfectly, I'm just changing my system. 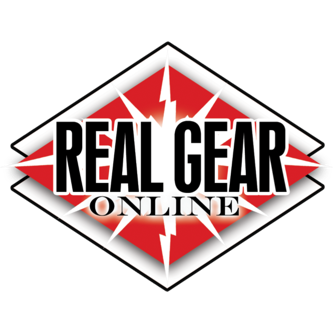 I'm a regular here at RealGear and a well known singer/songwriter/producer. I live in an easy access Upper West Side doorman building in Manhattan. You're welcome to come and hear it for yourself. It comes with all the standard plug-ins UAD gives you. Asking $1,150. I also have a quad satellite available for $450 (firm). Comes with original box and all packing. Can do Paypal and ship if you like. Here are the specs: This 18 x 24 Thunderbolt interface features onboard UAD-2 DUO processing, genuine UA analog design, and next-generation A/D and D/A conversion. Apollo 8 further distinguishes itself with Realtime UAD Processing and Unison™ technology, letting you record at near-zero latency through the full range of UAD plug-ins from Neve, Studer, Manley, Lexicon, and more -- including new mic preamp emulations from Neve, API and Universal Audio. * Apollo Expanded software now allows cascading up to four Apollos in a single system over Thunderbolt (Mac), so you can scale up your studio as your needs grow. Apollo 8 improves upon the original Apollo's gold-standard audio quality with completely redesigned, class-leading A/D and D/A conversion -- giving you increased dynamic range and even lower THD. This results in breathtaking clarity, depth, and accuracy in your recordings, from tracking and overdubbing, to mixing and mastering. A Universal Audio breakthrough, Apollo 8's Unison technology gives you the tone of the world's most sought-after tube and solid state mic preamps -- including their impedance, gain stage "sweet spots," and component-level circuit behaviors. Based on unprecedented hardware-software integration between Apollo's mic preamps and its onboard UAD plug-in processing, Unison lets you record through stunning emulations like the bundled UA 610-B Tube Preamp plug-in, or exclusive preamp emulations from API and Neve. Thanks to Apollo Expanded software, users of Thunderbolt-equipped Apollo Twin, Apollo 8, Apollo 8p, and Apollo 16 audio interfaces can combine up to four Apollos and six total UAD-2 devices -- adding I/O and DSP as their studio grows. Apollo Expanded also permits integration with previous generation Apollo over Thunderbolt. With Apollo 8's Console 2.0 application -- a complete re-imagining of Apollo's original Console software -- you can take advantage of over 25 user-requested features such as Channel Strip presets, Drag & Drop functionality, dynamically resizable windows, and more. Apollo 8 features a host of front-panel upgrades over the original Apollo, including Alt Speakers, Dim, and Mono functions as well as input and output metering capabilities via the new Meter button. These features combine with Apollo's system scalability to make it the new standard in professional multi-channel audio recording. You might want to mention its a BF in your title !